﻿ What Are Spiral Welded Steel Pipe and Its Features? What Are Spiral Welded Steel Pipe and Its Features? As we all know that the spiral welded steel pipe is one kind of pipes sold well both at home and abroad. There are also many other products available for different applications. If you have a need, you should choose a long reputation supplier for the suitable pipe. 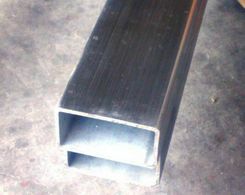 Steel pipes are durable and robust with the steel material. For a better utilization, nowadays pipes are equipped with new properties and functions. The surface can be rust and corrosion resistant. In the common sense, spiral welded pipe is a steel pipe having a DSAW seam the entire length of the pipe in a spiral form. The outside diameter is determined by the angle of the de-coiled steel against the forming head. Generally speaking, the more acute the angle, the greater the diameter. Such products can be placed in more demanding service owing to the large production, sufficient width hot rolled coils and dependable non-destructive testing methods. According to the state that spiral welded pipe can be rolled in exact lengths up to 115 feet in either ID or OD dimensions up to 144 inches. For the sake of slow manufacturing process, the pipe give the contractor an advantage of short term changes to the order. This same slow production can also be a disadvantage when large tonnages are needed with a short lead time. Spiral welded pipe is produced to limited specifications. From the above introduction, we can see that the steel pipe world is so complex that if someone want to know clearly, effort and time should be spent. Owing to the special applications, the steel pipes should be equipped with certain characteristics, which are necessary for any industry. The spiral welded steel pipe is just a kind of steel handling way. 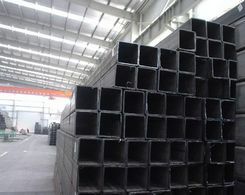 In the market, API steel pipe, black steel pipe and others will be supplied for certain applications. 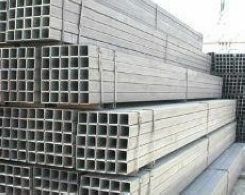 If you are looking for a good supplier for high quality steel pipe, you are suggested to visit www.xinlinsteel.com which has specialized in the field for many years. It is a leading supplier, providing you with stainless steel pipe, high pressure fertilizer pipe, fluid conveyance pipe and others. More information about how to use and maintain, you can also choose to visit it.